"One of the most unique things about this property is the craftsmanship of the woodwork," John Herman, PropertyUp, said. "From the garage, to the stairways, to the basement, there is special woodwork." The spacious home features 2717 square feet in a traditional 2 story floor plan, with 4 bedrooms and 2 1/2 baths. The quiet location on a cul de sac, is one of the nicest in the subdivision, and backs up to a wide open retention area and is 1/4 of an acre. The backyard is private, with a no maintenance fence, and features an additional deck area with privacy panels as well. There's a modern open floor plan and an updated kitchen with black appliances, modern cupboards and solid surface counters, undermounted sink and tile backsplash. 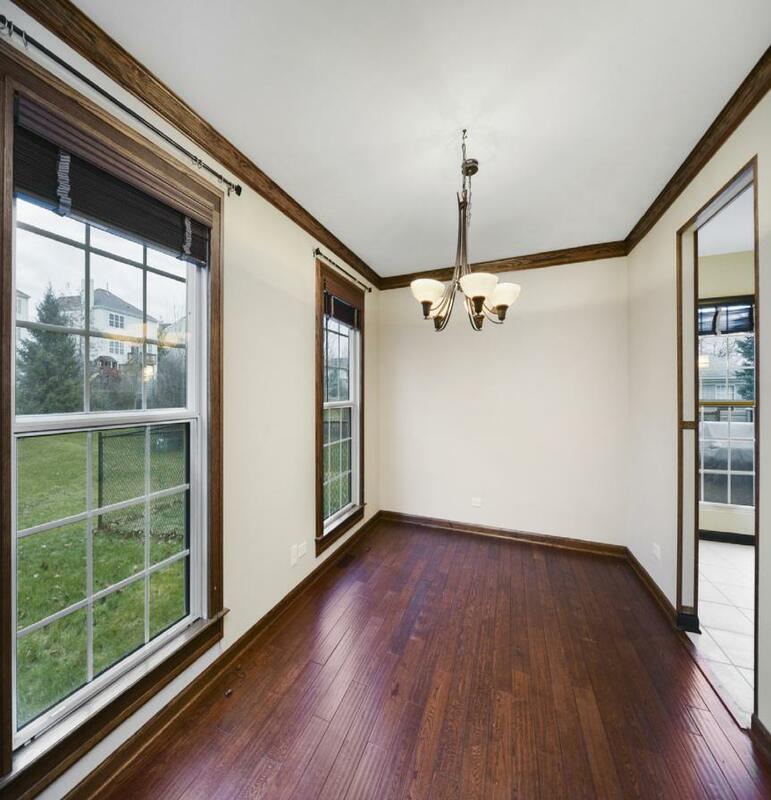 The 2 car garage features 2 separate doors, and a finished garage floor and customized wainscotting on the walls. It could easily be a "get away" as much as a garage. The home features plenty of storage and a shed in the backyard. It's convenient to everything and served by school district 46. Taxes in 2016 were $8376. The stamped concrete walkways, drive and patio give an impressive appearance. There is central air, vaulted ceilings, skylights and a balcony. Streamwood, Illinois is a northwest suburb of Chicago and considered part of the Chicago metropolitan area. The population of Stramwood is about 41000 and is equally made up of males and females. The median resident age is 34 years old. The median household income is about $72000. The median value of a home or condo in Streamwood is about $172000. There are several events in Streamwood to keep residents entertained. Thee include the Black History Festival, The Family Health and Wellness Fair, the Guns 'N Hoses Charity Basketeball Game, Easter Events, Art Appreciation around the World, Streamwood Environmental Education Day (SEED), Arbor Day, Student Government Day, Clean Up Week, Memorial Day celebration, Streamwood Stride, Summer Celebration, National Night Out, Touch-A-Truck, Got Art? Show, Fire Prevention Week - Open House, Pumpkinfest, Safely Trick Or Treat, Cultures Of Our Community, Hanover Township Toy Drive, Handmade in Hanover Craft Show and Bake Sale, Luminaria, Breakfast with Santa and the Polar Express. There are two park districts in Streamwood and hundreds of acres of open space and recreational programs for residents. This listing is offered by John Herman. To see it email assistant @propertyup.com or call 847 847 4711.